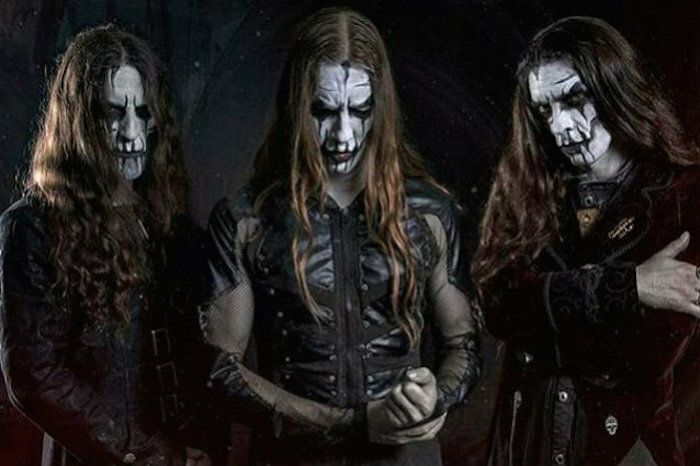 Carach Angren: "As children we would build little ghost houses." As children we were told stories that captivated our imagination. These stories took us to different worlds, introduced us to characters we never could have imagined, yet in odd ways we could relate to. Perhaps your parents read to you quite a lot when you were a kid… but were you ever read a story out of warning? Did you ever have a stormy night, the wind whipping by, thunder cracking, and rain pounding, as your mother read from The Brothers Grimm? Did you ever hide under your sheets, the tales of gore, cruelty, and horror leaking out from the pages and into the corners of your bedroom? “Telling stories has always been at the heart of what we do and that will never change,” says Clemens “Ardek” Wijers of symphonic black metal act Carach Angren. With the release of their fifth studio album, Dance and Laugh Amongst the Rotten, the band continues to send shivers up the spine of every listener. “We want to offer our fans something really special with each album, and a good story is the main element every time,” Wijers shares. Those lucky enough to have seen Carach Angren live know all about the band’s theatrical horror. Past albums have dived heavily into haunting fairy tales, and rich history of violent crimes. The lyrics are only intensified upon witnessing the band in person, their bodies thrashing about like a violent possession. This time around, however, it was Wijer who got to take center stage in crafting Dance and Laugh Amongst the Rotten. “Personally I wanted to make the listener somehow part of the story. I have been wanting to do this for many years but never really found a way that was satisfying.” This feeling comes through right away in the record’s first two opening tracks. 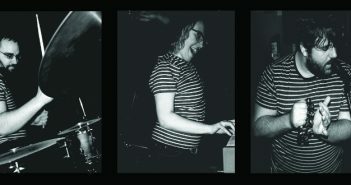 The intro provides a haunting instrumental component, progressing into the album’s second single ‘Charlie’. Lyrically there is an air around the orchestration that feels like it is pointing out to you, the listener specifically. Like reading a really good scary book late into the night, listening to Dance and Laugh Amongst the Rotten isolates one from comfort. This feeling looms over the listener even more in the band’s brilliant opera combinations that flow throughout the record. “Both metal and orchestra provide a rich palette of instruments, playing styles, and sounds,” Wijers states when discussing the album’s various instrumentals. “If you approach the orchestra as one big instrument, you could say it is very flexible. 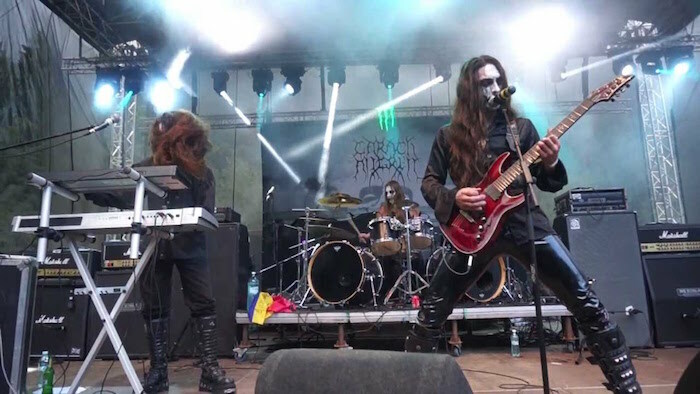 You can make it play very dramatic and aggressive, and within no time, switch to a softer and more eerie approach.” In their use of classical orchestration, Carach Angren provoke a sincere gothic element to their music, elegantly blending two forms of musical horror. 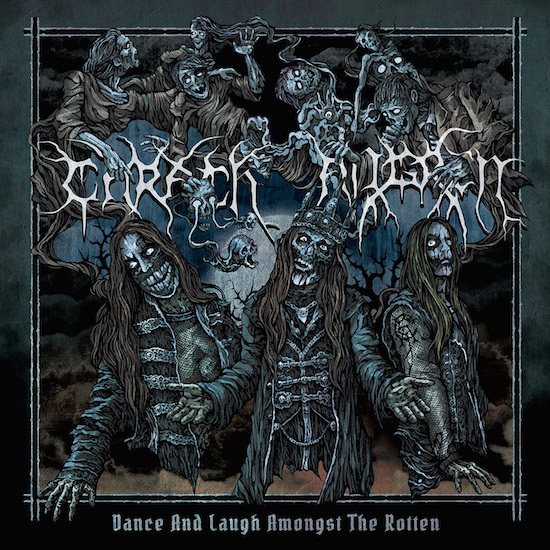 Carach Angren have not only created a captivating and brutal sounding album in Dance and Laugh Amongst the Rotten, but a sincerely haunting and eerie work of art. Touching on the album’s concept, Wijer says, “As the album develops, the listener will actually learn that there is much more to be revealed. Curiosity already got to her [the album’s protagonist]before…” Carach Angren is an act that represents artists devoted to their love for a genre – they are fans of horror, and give honor to it by crafting music and atmosphere that presents dread, mystery, and fright. Wijer is extremely proud of this album, as it is the band’s most striking release in their career so far, as well as one of the most superb releases halfway through this year. Dance and Laugh Amongst the Rotten promises terror, it promises despair, and it promises you a sense of feeling unsafe. Not even a nightlight will protect you from the darkness that flows throughout the music.